Thank you for your interest in Open Arms’ Birth Doula Services program! We are excited to work with you through your pregnancy, birth, and postnatal period. 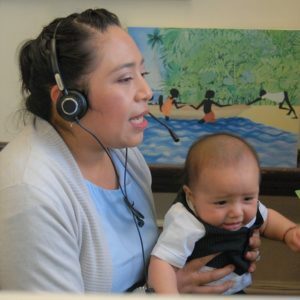 We offer free of cost birth doula services and baby items at our office, and can connect you to other community resources. 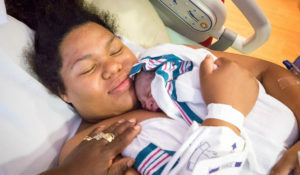 A birth doula can be both a strong personal connection and a helpful resource to have in planning for your labor and birth. In your prenatal visits, a doula can give a lot of useful information on what labor actually looks like, talk to you about all of your options – for comfort and medical purposes – and help you feel more prepared for this big life transition. You get to decide what role your doula plays in your birth experience. Doulas provide consistent support from the time you call until you have given birth. They can meet you at your home or your birthing location and stay with you if you need to transfer locations. Doulas can offer massage, encouraging words, media for distraction, suggestions of different labor positions, and many other comfort measures! They can also advocate for your wishes based on your birth planning process, so that you have the best birth experience possible. If you have a partner, a birth doula can help your partner feel supported and better support you through the labor as well. Finally, our birth doulas offer postnatal visits during which you can review the birth experience and receive some support with newborn care. Giving birth is a big life transition, whether it’s your first time or you have experienced it before, and doulas can help with the physical and emotional needs that come up for you in that immediate postnatal period. What qualities are important to you to have in a doula? This may include personality, age, experience level, familiarity with certain cultural practices, etc. Do you have any birth preferences or pregnancy health history that a doula should know about? Do you have any identities, cultural, ethnic, or religious that you would like to share with a doula? 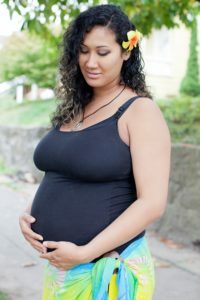 Consistent labor support – your doula will attend your labor from when you call until your child is born; they can meet you at your home or at your birthing location. Doulas can provide physical support (such as massage), emotional care and conversation, and information about what is happening during labor and birth. Their support is based on what you shared during your prenatal visits – it is customized to your wants and needs! Three postnatal visits – after your baby is born, your doula will meet you for three visits to help you get adjusted to having a newborn at home; if you have any questions around feeding or parenting resources, they can help! Periodic check-in calls from the Open Arms’ office to make sure that you are satisfied with your doula match and to hear how working with your doula and birth experience have been. We can also support with further resources such as baby items and/or community connections (see below for more info). You may also qualify for our Outreach Doula Program. The Outreach Doula program is a longer-term home visiting program where you are matched with a doula during your pregnancy and they continue to offer visits until your child’s second birthday. CLICK HERE to find more information about the Outreach Doula program if you identify as part of one the four following communities: American Indian/Alaska Native, African American, Somali, and/or Spanish Speaking.